Epic Games have been around for quite a while, since 1991 in fact, but they were known as Epic MegaGames back in those days. They were well known in the early 90s for developing and publishing indie DOS games (sometimes as shareware); classics such as Epic Pinball, Solar Winds, Jazz Jackrabbit, One Must Fall: 2097 and Tyrian are all titles they have developed or published. It wasn't until 1998 that they would stumble across the game that would spawn a whole new series: Unreal. This was followed in 1999 by Unreal Tournament, a game that would give Quake III: Arena a run for its money, and from then on, Epic Games has probably become more renown as a company that develops game engines instead of games proper (although the Gears of War games were received quite well on the Xbox 360). So, fast forward to July 2017 and you have Fornite, a co-op sandbox survival game that's meant to be a cross of Left 4 Dead and Minecraft (although it feels a lot more like Tower Defence than Left 4 Dead); only a couple of months later, a free PvP Battle Royale mode was added (no doubt capitalising on the success of PLAYERUNKNOWN'S BATTLEGROUNDS released earlier the same year). Epic plans to release the entirety of the game (including the "Save the World" PvE campaign) as free-to-play sometime later this year, but if you want to get in on early access, you can either pay $39.99 USD for the Standard Edition or $59.99 USD for the Deluxe Edition. Thanks to the generosity of Choona, one of our Choicest Games contributors, I was given a free copy of the Standard Edition to play. While MMO-like games aren't normally my thing, I was intrigued by the co-op and fort building aspects of the game as well as the fact it is a shooter. 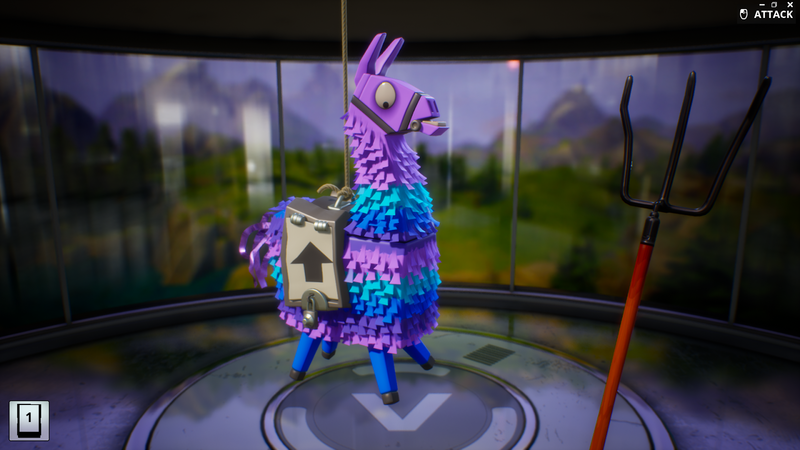 Epic aimed to mimic "Pixar, Tim Burton and even Looney Toons[sic]" and they've nailed it. Probably not a game for those who are put off a cartoony art-style but I for one like it. I think the music is an acquired taste since it sounds a lot like music you'd hear in The Sims but Rom di Prisco does a good job in delivering a high-quality soundtrack. I heard mixed reviews from my friends prior to playing Battle Royale but after playing it several times, I actually quite enjoy it. There was an instance where I died and it seemed like I got shot through the wall, despite me lying in wait for an enemy to enter the room; I'm not sure if that's because you can shoot through walls in Fortnite (I didn't think you could) or it was because of a lag spike, but that's the only negative experience I had with the mode. I'm also not sure how beneficial it is to actually build forts in Battle Royale since you need time to gather resources and build structures (both activities will leave you vulnerable to being shot in the back), although maybe I haven't survived long enough in Battle Royale to see. PvE gameplay isn't too bad if the idea of building forts to defend against zombie hordes again… and again… and again… and again… appeals to you; for the rest of us though, the formula can get pretty dull, pretty quick. The game must be a turtle's dream since it's all about building traps and defending; it's also a bit like a third-person shooter version of Tower Defense in that regard. Admittedly, I haven't progressed far enough in the campaign to tell if the formula ever changes but from what I've experienced so far, it's nothing to write home about. This isn't purely a criticism of Fortnite although like many games in the MMO genre, it has the same pitfalls in that MMO progression systems can be overly complex and that it takes repetition of tasks/quests/etc. in order to get anywhere. In fact, grinding works on two levels in Fortnite since not only do you have to grind your way through missions in order to level your Heroes, Survivors, etc. 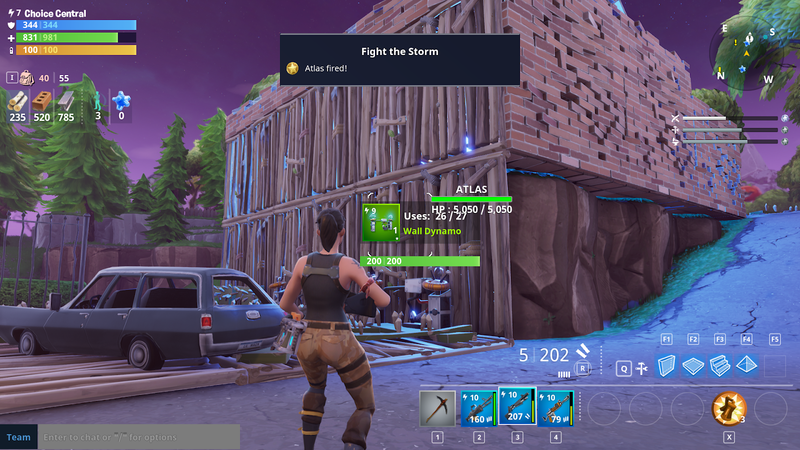 you also have to continually harvest materials in order to build forts and manufacture guns, traps and ammo. Also, when I say grinding your way through missions, it's pretty much re-playing the same missions over and over again until you get enough Commander XP or find the correct item (such as a treasure chest) and you've got to do all of this while also completing the primary objectives of the mission (which you've already completed before). A minor gripe for most, but this could be an issue for those who really only want Steam games as part of their library. In order to play this game, you'll need to download and install the Epic Games launcher. 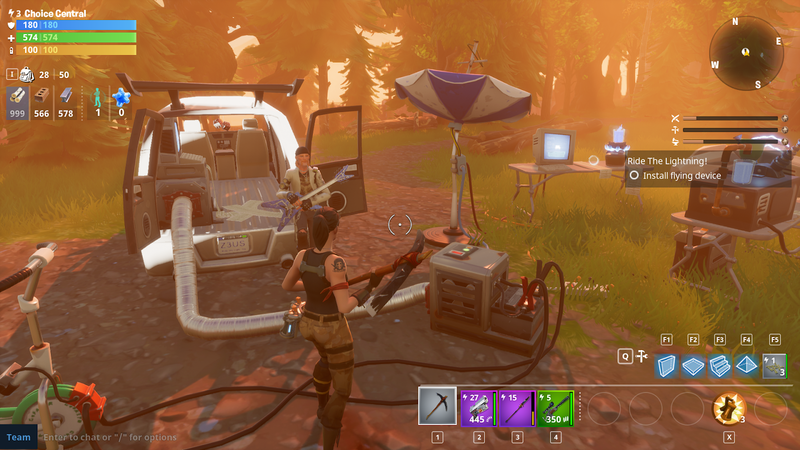 Fortnite is a competent, well-polished, MMO shooter that's a weird hybrid of Left 4 Dead, Minecraft and Tower Defense for PvE; it also has a cartoony Battle Royale PvP mode which grants you the ability to build forts (if you survive long enough to harvest the materials and build the structures). The game does suffer the pitfalls of most MMOs though due to overcomplicated level progression and grind. Also, building forts to defend against hordes of zombies sounds like fun on paper, but it gets old pretty quick when the same formula is used over and over again. Is the game worth $39.99 USD? : No; that's about $52 AUD with current conversion rates which means you're paying more than $50 AUD for the single player campaign. While it has its moments and it's pretty well polished, I just don't feel it's $50 worth of fun – especially considering if you're not even into PvE, you can just play PvP for free. Finally, the PvE "Save the World" component will be free sometime later this year anyway.